This article first appeared in our sister Power and Motoryacht&apos;s February 2019 issue and is reprinted here with permission. You don’t need to cross oceans to find the boating experience of a lifetime. 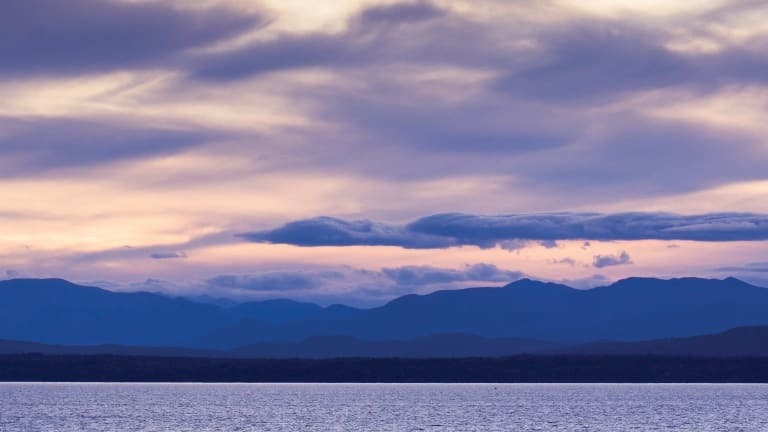 Tucked between Vermont’s Green Mountains and New York’s Adirondack range is Lake Champlain, New England’s largest lake at almost 500 square miles and the country’s unofficial sixth Great Lake. It has served as a water highway for thousands of years and played an important role in battles during the Colonial era, Revolutionary War and War of 1812, but I did not yet know any of this when I was first struck by its unique and beautiful geography. Located at the southern tip of Lake Champlain, Fort Ticonderoga offers panoramic vistas of New York’s Adirondack and Vermont’s Green Mountains. As a lifelong boater growing up on the water in Rhode Island, I never thought anything could compare to an ocean. When I moved to Burlington, Vermont, I was not expecting the lake to be much more than, well, a lake. It was an easy judgement to make; Vermont is well-known for its mountains and farmland but not particularly for its bodies of water. What I quickly came to realize, however, is that it is best not to compare, but rather to appreciate as something entirely different—a remarkable historic site and a serene location, glassy calm and quiet when compared to ocean swells. I have travelled to the Pacific Northwest, home to a similar geography of adjacent mountains and water, but the lake is an entirely different experience. There is a sense of enclosure: Mountains wrap around a closed body of water and remove you briefly from society. 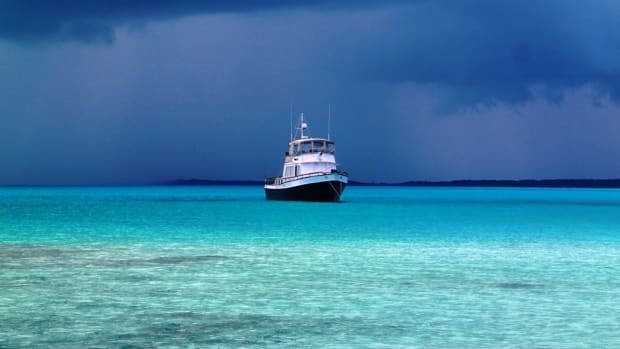 I love cruising on the ocean, but it has never replicated that feeling. For Capt. Mathias Dubilier, owner of the Whistling Man Schooner Company—a charter sailboat outfit based in Burlington—it is the lake’s historic significance that makes it such a unique destination for boaters. Dubilier has cruised all over Europe and the Atlantic, but Lake Champlain is home. “I’ve been on Lake Champlain for 40 years now and I have sailed just about every inch of it,” he says. “I’ll tell you what, emotionally, it is so important to me. Lake Champlain is the most historic body of water for the development of all America. 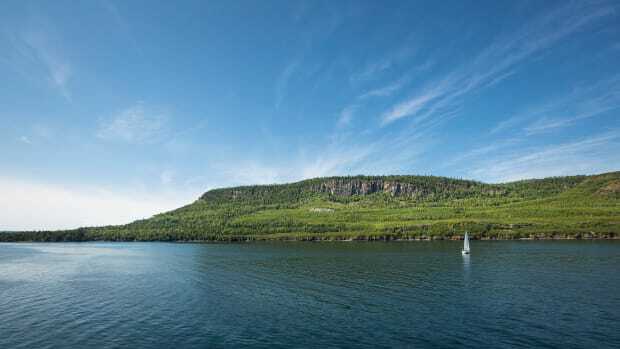 Now that sounds like hyperbole but it is true.” The lake connects to both the St. Lawrence Seaway and Lake George, and Native Americans used it as a north-south corridor for thousands of years for migration, hunting and trade before European colonizers arrived in 1609. The lake is where the colonies first fought the British offshore, and is thus the birthplace of the American Navy. It is also where the U.S. last fought the British offshore in the War of 1812. 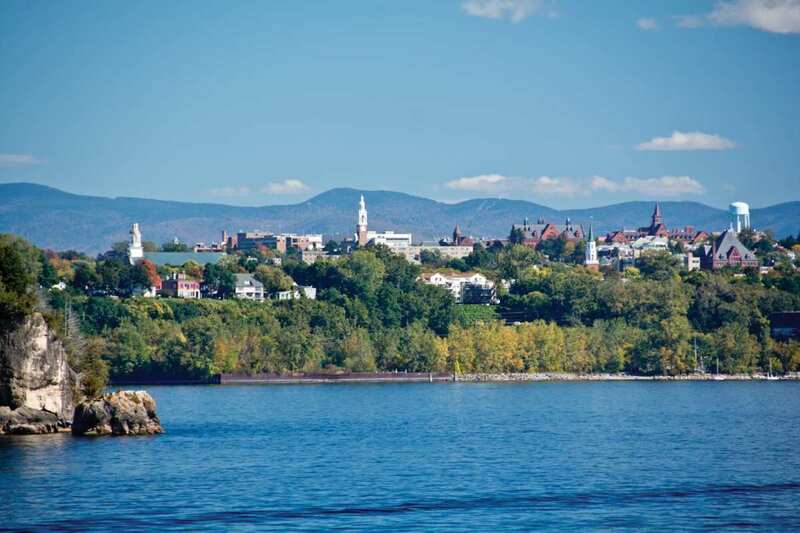 Lake Champlain is bustling with activity during the summer months, with concerts and festivals along Burlington’s waterfront. Beneath Dubilier’s profound understanding of the lake’s history is a genuine passion for its physical essence. “To this very day it’s the most gorgeous place in the world,” Dubilier says. “It’s one of the places where you can see the most spectacular sunsets. Often we get to see the sun setting over land or over bare water, but rarely do we get the opportunity to see the sun set over mountains and water in a place where the mountains are close enough to be a significant geological feature to the whole beautiful tableau.” He speaks candidly as an international cruiser who has decided to settle here and open a chartering operation, which allows him to share the experience of the lake with those who otherwise wouldn’t have been able to get on the water. 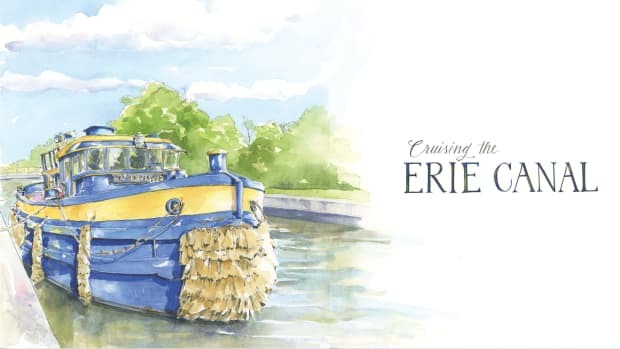 Dubilier encourages those cruising the Great Loop to extend their trip by taking the Champlain Canal rather than the Erie Canal. Loopers will end up in Lake Champlain, which they can exit at the northern end through the Richelieu River that empties into the St. Lawrence. “It’s a wonderful way to extend it,” Dubilier says. He recommends four top sites for cruisers travelling through Lake Champlain. The first is Fort Ticonderoga, a critical strategic position in the first geopolitical battle between the British and the French. The second is the Lake Champlain Maritime Museum, which displays a recreation of the gunboat Philadelphia, one of the first gunboats the U.S. built when battling the British. 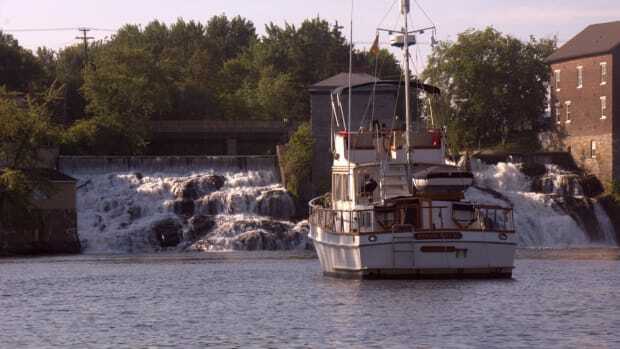 Next is the 40-acre Shelburne Museum and the 220-foot glass paddle boat steamship Ticonderoga featured on its grounds. Finally, Shelburne Farms, once a Gilded Age estate that has since been transformed into a non-profit environmental education facility, has converted the original mansion to an inn where boaters can stay for a night or simply enjoy a meal at its restaurant. “The lake is sort of this hidden secret, this hidden gem of America,” Dubilier says. It’s not particularly easy to access, as the bridge clearance on the canal is 17 feet and clearance on the bridge at the northern end is 25 feet, which discourages many of the boaters who would otherwise come in for a day trip or a week. “It’s nice because it can be a beautiful day in summer and the lake is not very crowded,” says Dubilier. 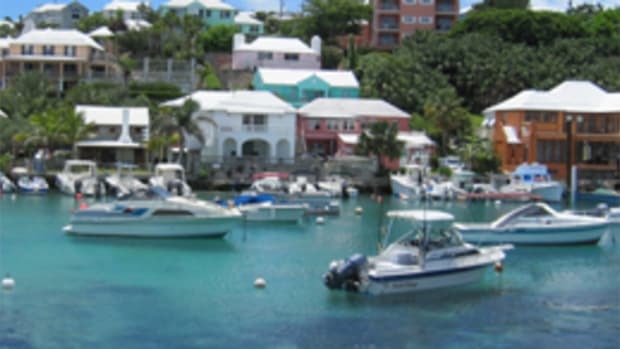 Despite a lack of traffic, cruisers with larger yachts will find a number of marinas that can accomodate them. 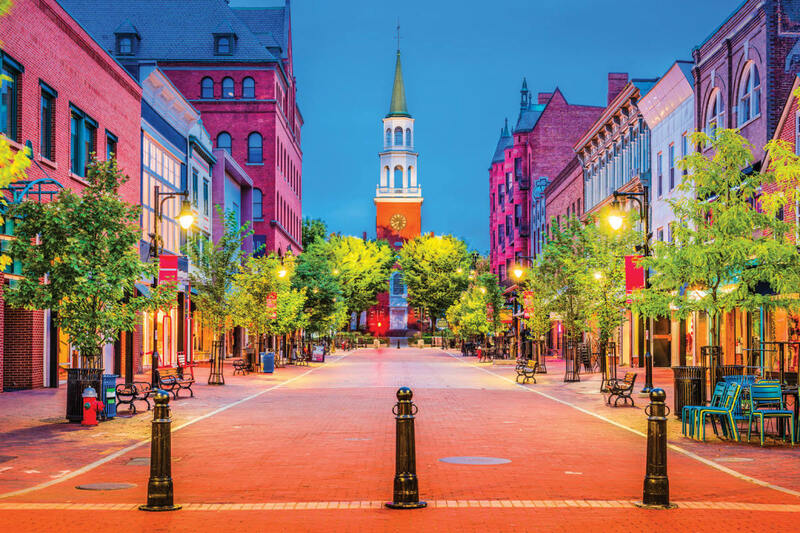 Burlington’s Church Street is an historic hub of architecture, restaurants, nightlife and storefronts nestled together amidst the brick and greenery. That is not to say the lake is not bustling with activity on season. 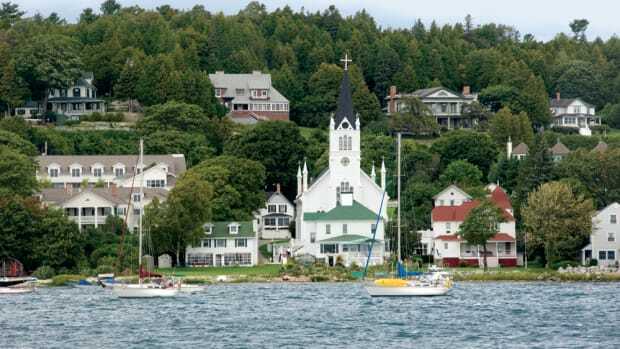 It is well-utilized by the community, always occupied by powerboats, sailboats, paddle boards and kayaks. And though it is tough to beat oceanfront beaches, the beaches along the lake are well-maintained and well-loved, making them a great place to spend a day or a summer. The lake draws Burlington together for regular waterfront concerts and festivals, fostering a unique sense of place. Consistent with that sense of community is the Burlington Community Boathouse Marina, which puts you in the hub of urban life in Vermont. The marina is, as one would guess, community-driven, fitting with the ethics and spirit of Burlington that attract so many people to the city. The facility includes 20 transient slips and hourly dockage provided for the public. It also features an on-site restaurant and easy access to a wide array of other dining spots in the area. There are a number of ways the boathouse serves community interests. “It’s not just about generating revenue. It’s about providing a gateway from the waterfront to downtown for the public,” says James Frazitta, the marina manager and deputy harbormaster. The boathouse is responsible for overseeing the waterfront park and coordinating concerts. It works hard to collaborate with businesses downtown and currently runs a cart program with the city market, which allows people docked at the Boathouse to borrow a cart to carry their groceries back to their boat. The Boathouse’s simplest service is leaving its docks open to the public on season so anyone can sit and enjoy the sunset from Adirondack chairs. The sense of community shared by the city of Burlington is carried onto the lake. “We make sure we’re not locking up our hourly slips; we want to be more inclusive,” Frazitta says. “You know, we’ll have 55-foot yachts that come in here and want to stay at our best spots all day every day, and those are our hourly slips. But just because somebody has a 16-foot boat doesn’t mean they shouldn’t be treated the same way as somebody with a 60-foot yacht.” The Boathouse is not just a local organization; it also welcomes national and international boaters cruising from Montreal, New York and any other location that connects to Lake Champlain through the canal system.